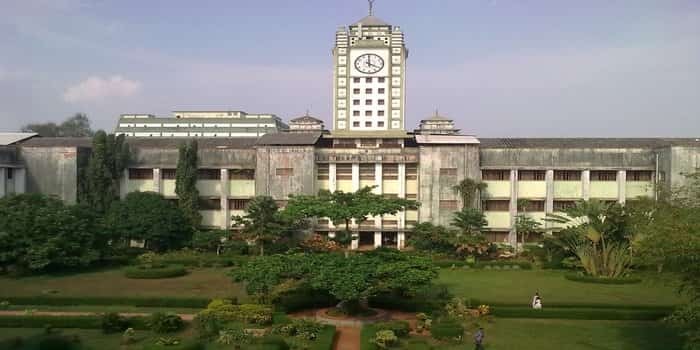 GMC Kozhikode 2019-20: Admission, Fees, Courses, Cutoff, Ranking etc. Government Medical College Kozhikode Calicut was established in the year 1957, is well known as GMC Kozhikode, situated at Kozhikode Kerala. Earlier It was also known as Calicut Medical College. It was a second medical college in the state of Kerala. Kozhikode Medical College is one of the premier Medical Colleges in Kerala. Throughout this article, we are going to share all the essential details about Government Medical College GMC Kozhikode like Affiliations, Admission Process, Courses, Cutoff Details, Eligibility Criteria, Fee Structure, Contact details, Review, Ranking etc. Before we go to complete college review, let us have a look at the major details of Government Medical College Kozhikode. A candidate can visit the official portal of Commissioner for Entrance Examinations, Kerala to get themselves registered for NEET 2019 Kerala State Counselling. Before we speak the counselling procedure for Kerala NEET 2019, Let us first have a look at the Kerala NEET 2019 Counselling schedule. Candidate applying for Medical/Dental Colleges in Kerala must have to register themselves for the NEET counselling 2019. Counselling of NEET 2019 for All India Quota will be conducted in two rounds in online mode. The counselling will consist of these steps. We Would like to give this Calicut Medical college 4.2 out of 5 stars on Edufever the best MBBS college in Kerala.